So, prom is approaching and you have to ask someone special to be your date. This may seem like a daunting task as you want to impress and surprise them while hoping they say yes. 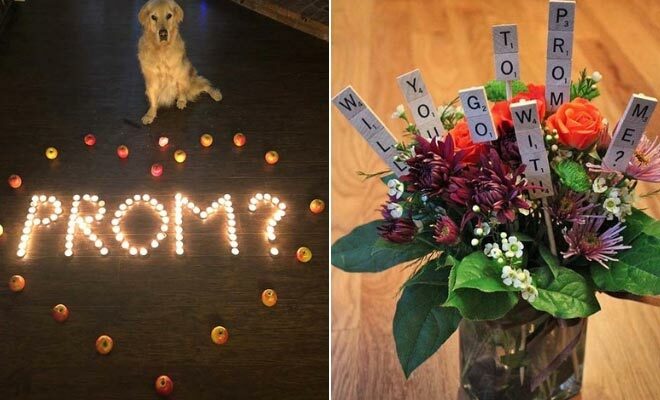 There are so many amazing ways you can ask someone and we have found 23 of the best prom proposal ideas. Whether you want your proposal to be cute, creative, romantic, fun or with a theme, there is an idea for you. Take a look, you will soon be taking your dream date to the prom. We promise! First up, we have this super cute candlelit proposal. For this idea there are tealight candles placed on the floor in a heart shape and they spell out ‘prom?’. The proposal has been finished off with a single rose and an adorable dog, too. 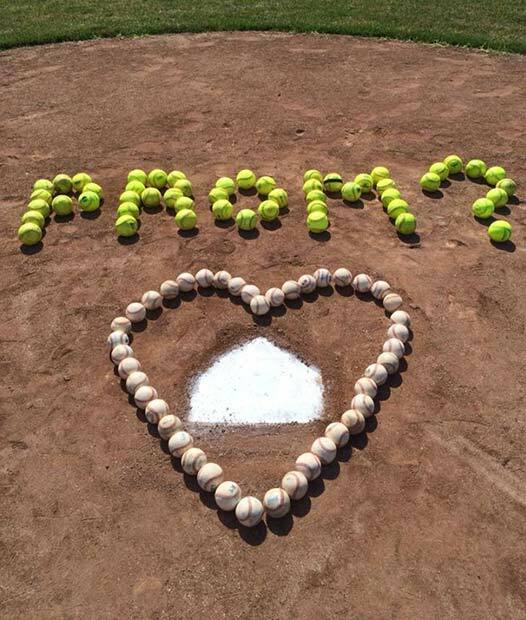 Your perfect prom date will love to be asked to the prom like this! Looking for a fun and unique way to ask someone to the prom? Then this idea is for you! 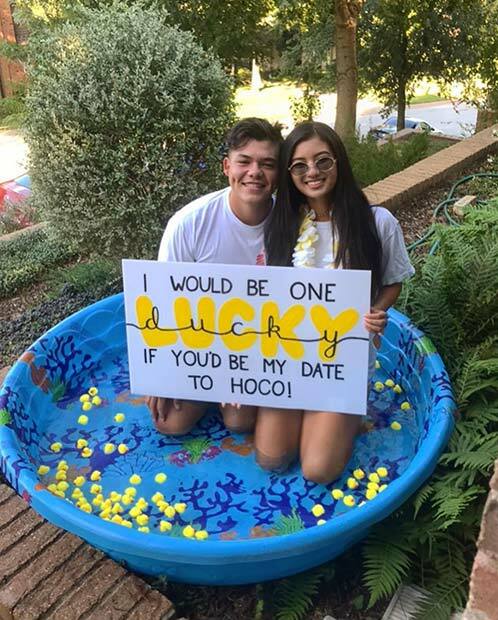 For this promposal a small pool has been filled with ducks and there is a sign that reads “I would be one lucky ducky if you would be my date”. This is such a cute idea and it is definitely something your date will remember. Flowers never fail to impress. 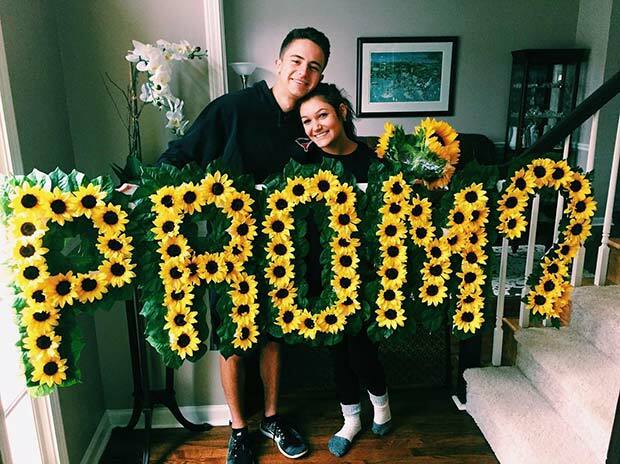 That is why our next prom proposal features a stunning floral idea. 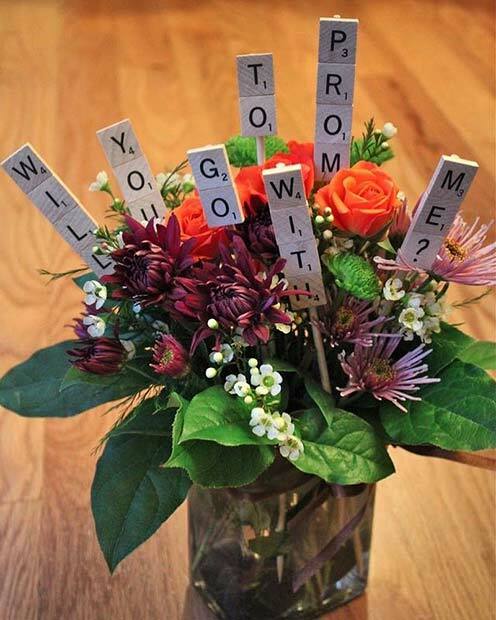 Here we have a vase of beautiful flowers with Scrabble themed signs that read “Will you go to the prom with me?”. You can choose any signs and flowers for your proposal. Maybe choose the special person’s favorite flowers or their favorite color for the flower arrangement. Our next idea is perfect for anyone who loves pizza. This proposal features a pizza with a cute message inside. Not only does the special person get a nice surprise, but a free pizza too! Make sure you choose their favorite topping and you can personalize the message. Maybe you want a simpler idea or maybe you both like sport? If so, try a proposal like this one. 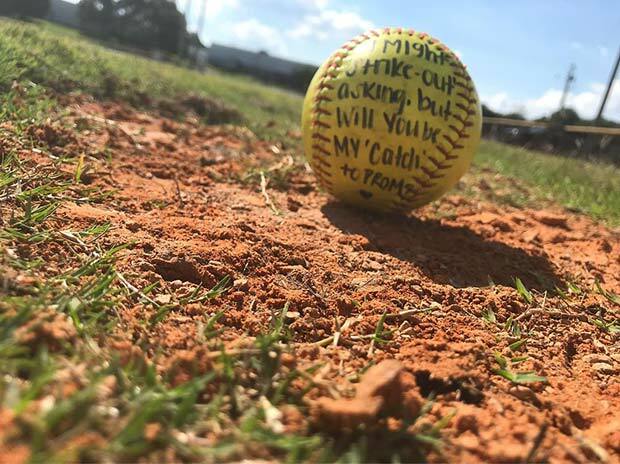 Here we have a baseball with the message “Might strike out asking, but will you be my ‘catch’ to prom?”. An idea like this is easy to do but meaningful too. You can create a message like this one any sports ball. Maybe a football for a football player and so on. Next, we have a unique idea. 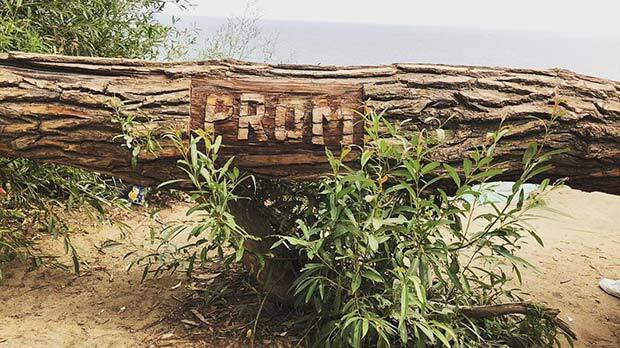 Here we have a prom proposal that has been carved into a tree. This is so unusual and something like this would definitely be remembered! Now carving a tree might be a little difficult but you could always put up a sign instead. 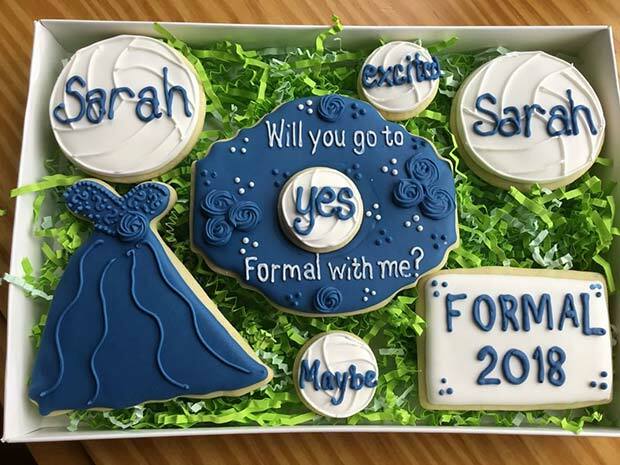 Make your prom proposal sweet with cookies like these! There is a box of cookies that are have a prom theme. One of the cookies asks the question and there are cookies with answers on. This is such a cute idea and it will be delicious too. If any of you like to bake then try to create the cookies yourself to make the proposal extra special. Our next idea is another sports theme. 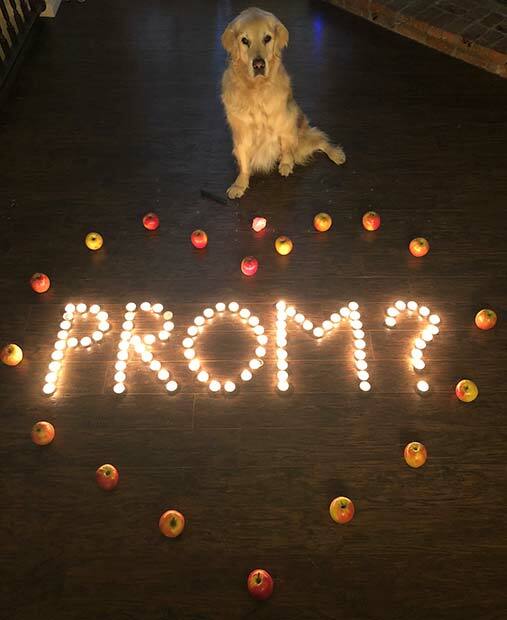 For this one there are tennis balls placed on the ground to spell out ‘prom?’ and there is a heart shape underneath made out of baseballs. This is the perfect proposal for anyone who loves sports. Is your perfect prom date a vegan? Then this is perfect! Here we have a funny and cute proposal idea. 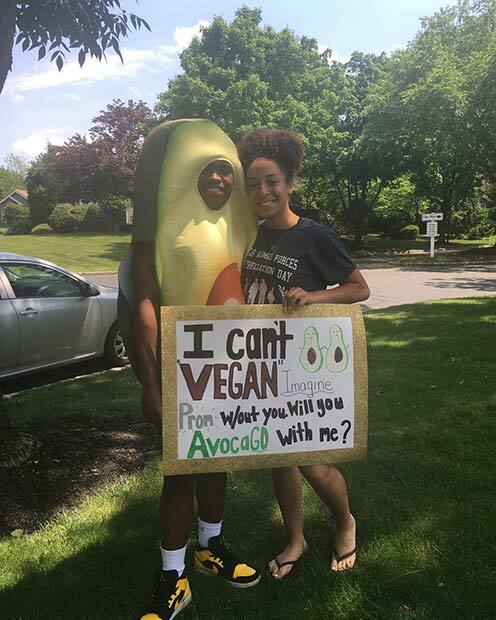 Someone has dressed up as an avocado with a sign that reads “I can’t vegan imagine prom without you. Will you avocago with me?”. This is unique, awesome and will make the occasion happy and full of fun. Dressing up is optional! Next, we have another floral idea. Here we have large lettered sign that spells out prom. Each letter is covered in sunflowers. 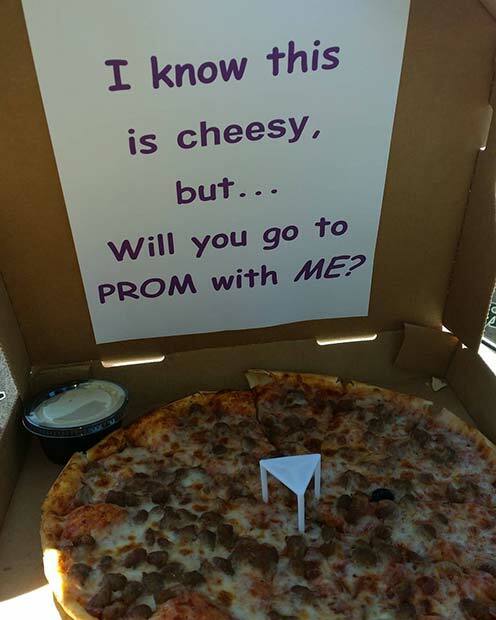 This is a beautiful way to ask someone to the prom. You can make something like this yourself if you like crafts. Also, try to choose the person’s favorite flowers to create your sign.